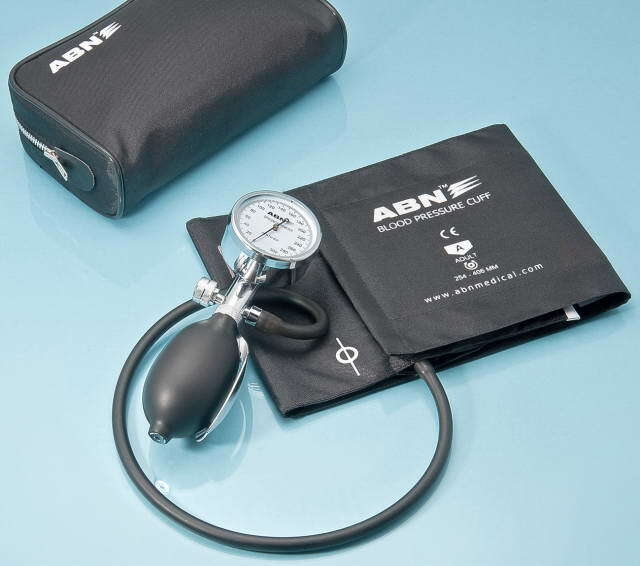 ABN Group - Products - Diagnostic & Healthcare - Sphygmomanometer & Parts - For Professional - Dr. Indra K. Muhtadi - "dokter plus"
those who’s sensitive against latex. Heavily chrome plated precision crafted, 300 mmHg no pin stop manometer. Luminescent scale on black faceplate for easy reading in all light conditions. 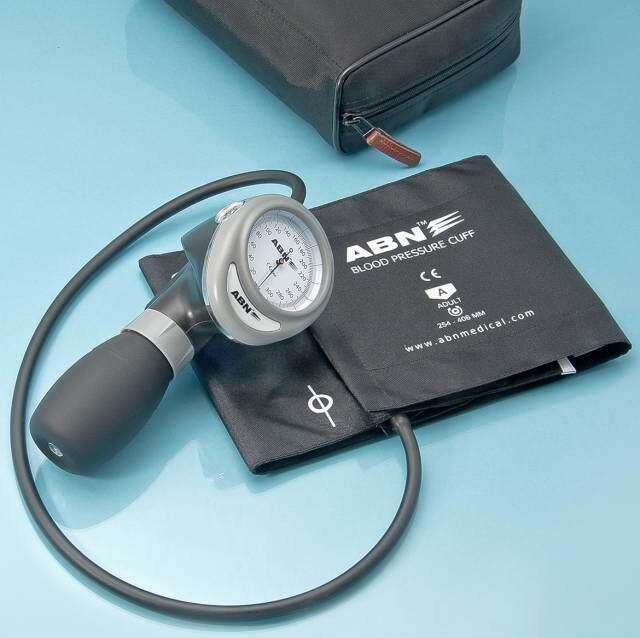 Superior quality aneroid with deluxe inflation system-filter screen deluxe air release valve. Black nylon cuff with heavy duty latex inflation bladder. Ergonomically designed as a compact kit. 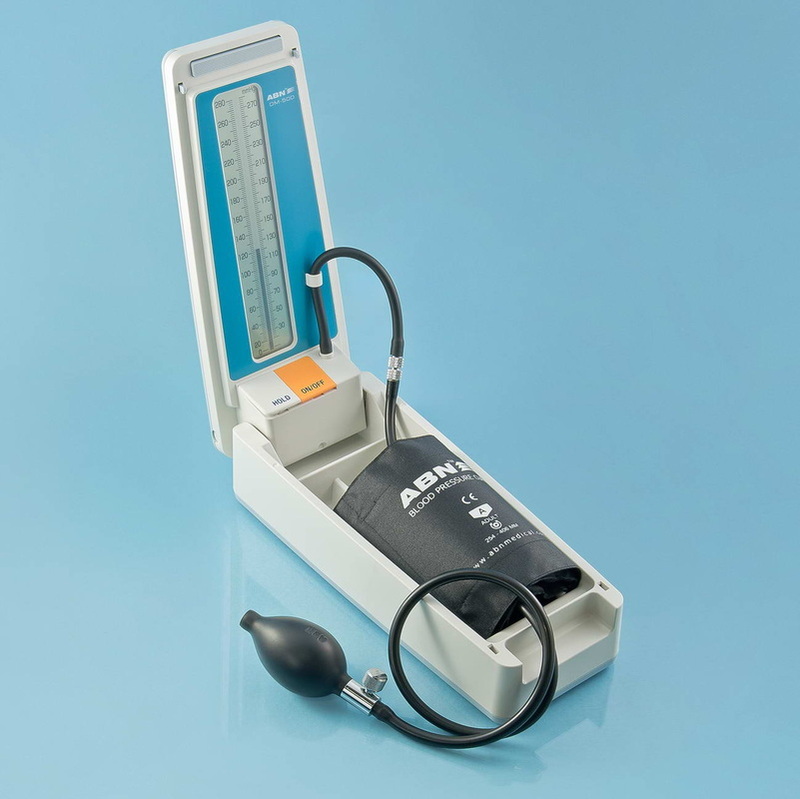 A heavily black housing manometer, 300 mmHg no pin stop manometer. 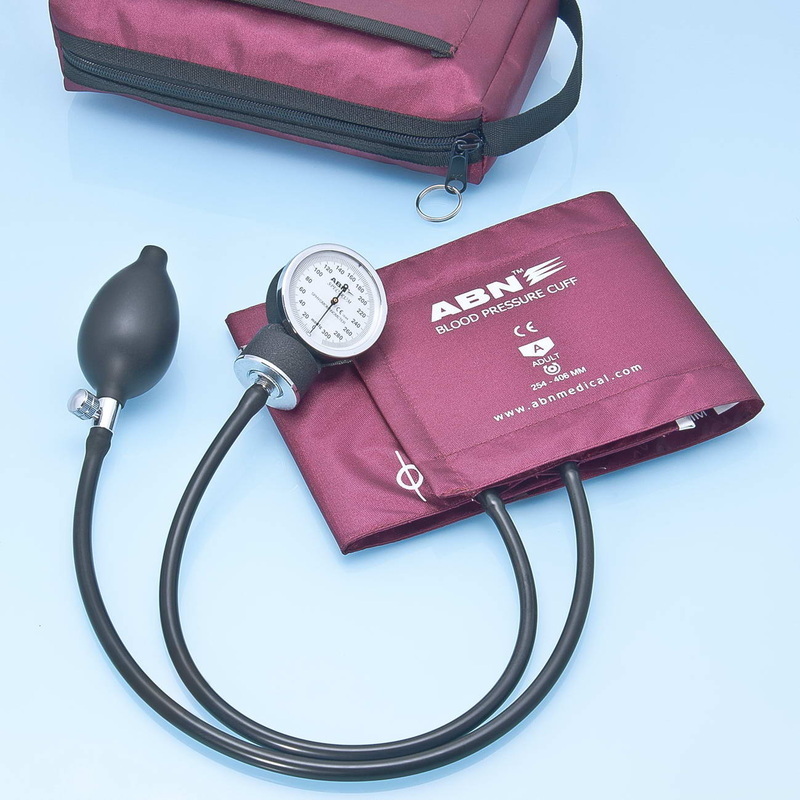 Comes with ABN™ Bladderless Blood Pressure Cuff which is easy to clean and made out of 100% latex-free high durable nylon material to increase comfort and style. Complete with a PVC inflation system. Packed in large deluxe nylon zipper case. Designed in eight fashion colors cuff those match your office, department or uniform. 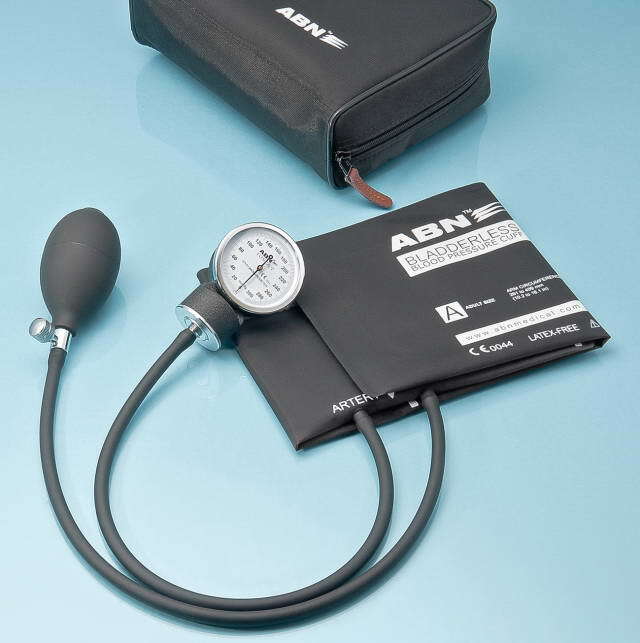 300 mmHg no pin stop manometer with black enamel finish. Completed with standard air release valve. Specially packed in oversized matching nylon carrying case provides room to carry any additional items. 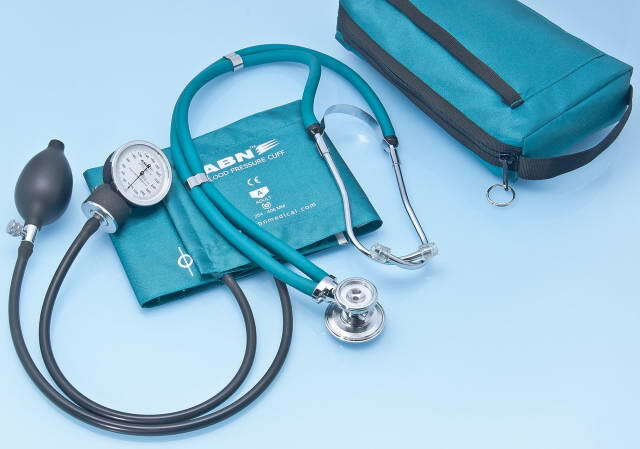 Comes along with Sprague Rappaport Stethoscope in color coordinated. Specially packed in over-sized matching nylon carrying case provides room to carry any additional items. Deluxe manometer palm style gauge with 300 mmHg no pin stop mechanism. inflation bladder, easier for changing the inflation system to the proper size. Packed in deluxe nylon zipper case. 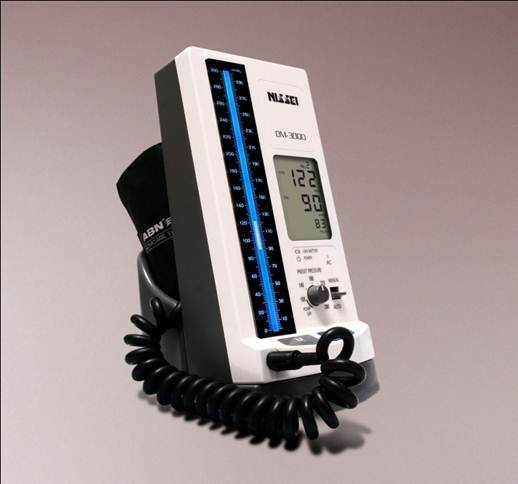 Precision crafted 300 mmHg of manometer palm style gauge with enhanced shock resistance of movement housing. Expeditious control trigger release air valve. Quick release luer slip connector. Specially packed into large deluxe nylon zipper case. The digital alternative of technological development in medical instrument with practical use, economical and environmental friendly. Complete with deluxe ABN™ inflation system i.e. 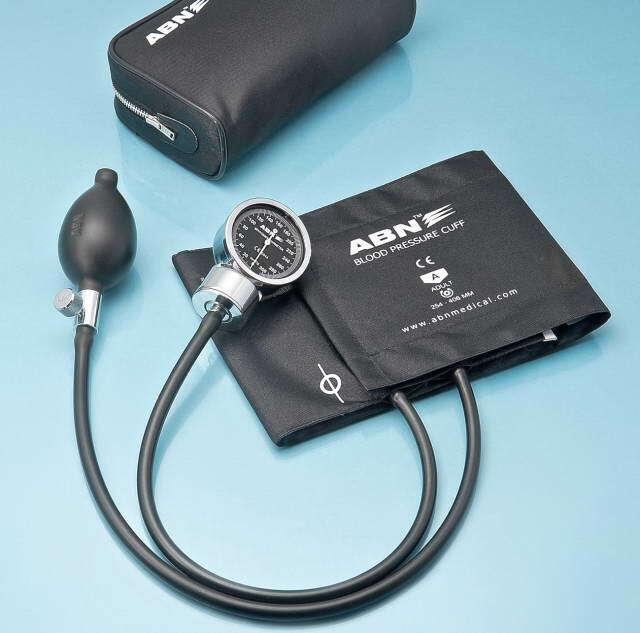 latex inflation bladder and adult black nylon cuff, metal connector and deluxe air release valve. Two buttons switch makes easy to operate. Integral cuff holder accommodates storage of the inflation system. The digital alternative of technological development in medical instrument with practical use and environmental friendly. Complete with deluxe ABN™ inflation system i.e. latex inflation bladder and adult black nylon cuff, latex coiled tubing, metal connector and deluxe air release valve. Comes with buttons switch to choose between ausculatoric (manual reading) system and oxylometric (automatic reading) system. Comes with pulse reading feature. With 7 previews reading memory. Can be operated with AC Adapter (included) or running on rechargeable battery. Mengurangi beban kerja paramedis di bagian yang sibuk seperti ER, RR, dll. Di unit hemodialysis; dapat membantu paramedis memantau pasien lebih efektif dan membuat pasien lebih merasa nyaman dan aman. Meningkatkan “nilai jual” RS atau praktek dokter karena memakai teknologi yang up to date. 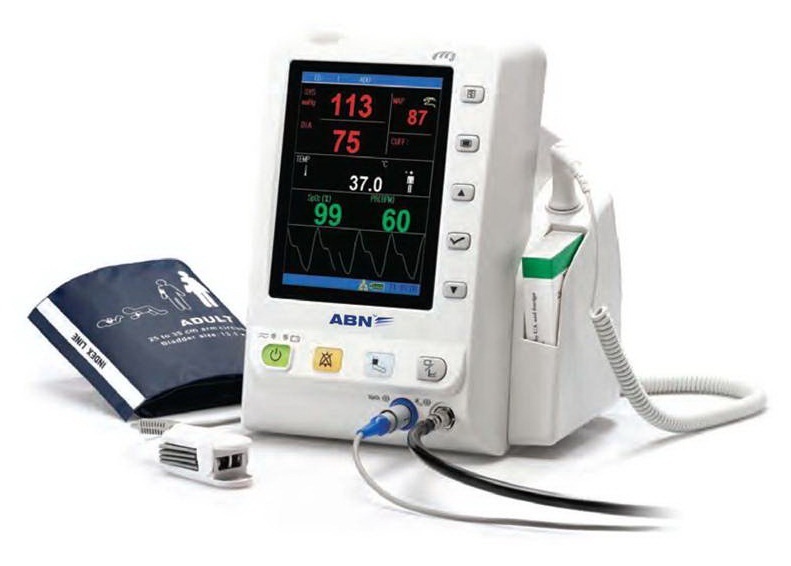 Baca artikel tentang "Vital Sign Monitor"
ABN™ PROWAVE VM 100 Series Vital Signs Monitor merupakan alat yang digunakan untuk perawatan di rumah sakit oleh para dokter/ahli medis untuk memantau tanda-tanda vital dalam tubuh. Baca artikel tentang "Tips Menggunakan Tensi Meter yang Benar"
Baca artikel tentang "Dampak Kesehatan Dari Paparan Mercury"
Baca artikel tentang "Issue Mercury di Sektor Kesehatan"
Baca PRESS RELEASE "Mengapa Kita Beralih ke Tensimeter Non Mercury?"